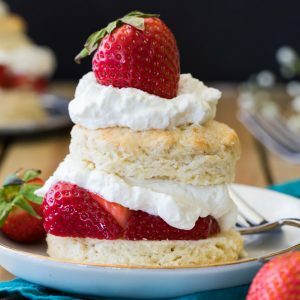 As promised, today I’m sharing May’s Recipe of the Month: this sweet and simple recipe for homemade Strawberry Shortcake! Today’s post is jam-packed with plenty of tips, tricks, and even a new video so you can see exactly how to make these sweet seasonal treats at home in your own kitchen. Here it is, guys! 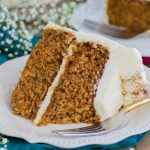 The Sugar Spun Run Recipe of the Month that I promised you: sweet, simple, and from scratch (that’s kind of my motto around here!) Strawberry Shortcakes! In case you missed yesterday’s post, make sure to click over and check out just exactly what the Recipe of the Month is and how you can participate and enter for the chance to win an Amazon gift card. 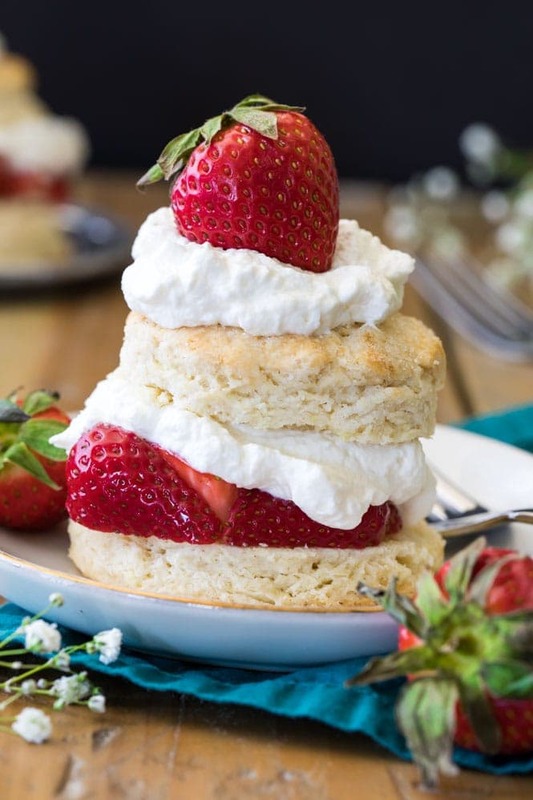 Strawberry Shortcake is a sweet and simple summer treat that’s made with strawberries (obviously), whipped cream (always homemade), and shortcakes, which are just sweetened biscuits. I chose this recipe for our focus this month because I think it’s simple enough while still requiring some technique and skill that may be new for some of you. Also, it’s strawberry season, and even if you can’t pick your own just yet, the options in the grocery store are looking better (and less expensive) every day. The first thing you’ll want to do is slice and macerate your strawberries. Macerating strawberries is simple, and even though maybe the word “macerating” isn’t in your everyday vocab, it’s just a fancy word for a simple process. All it means is that we’re going to sprinkle our strawberries with sugar, stir up the sugar and berries, and then let them sit. 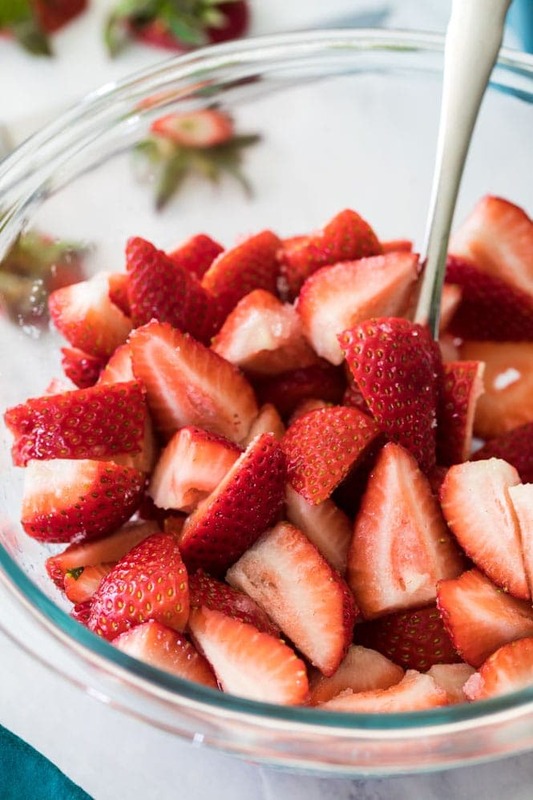 What macerating does is it softens our strawberries, and the sugar draws out the fruit’s juices, making for extra juicy and flavorful strawberries. Fancy name, important step. We’ll slice our berries first and remove the stems before adding the sugar. You’ll want to do this step before you start any baking so that the berries are ready once your shortcakes come out of the oven, as macerating requires letting them sit for 30 minutes. Once you have your strawberries prepped, we’ll move on to making those actual shortcakes. 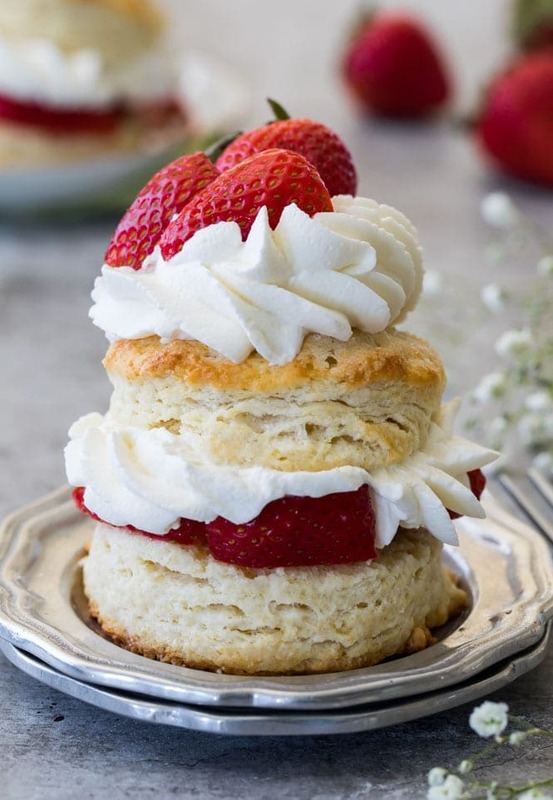 A shortcake is simply a sweetened cake-like biscuit. Annnnnd even more sugar — generously sprinkled on top (don’t skip this step… it makes them so good!). I do have some tips for making these shortcakes come out just right every time, and for obvious reasons, they are quite similar to last week’s tips! The butter, cream, and milk for this recipe need to be as cold as possible for fluffy and soft shortcakes. I freeze my butter before using it and recommend keeping the milk and heavy in the refrigerator right up until it’s time to add it to the dry ingredients. Don’t overwork the dough! 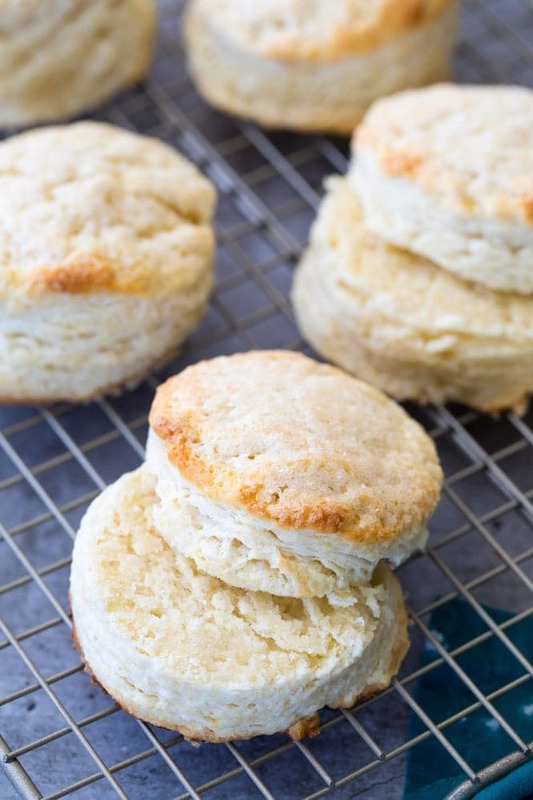 Keep in mind that you want your shortcake dough to stay as cold as possible when making these biscuits, and the more you have your hands on the dough the softer the butter will become. Definitely do not use an electric mixer for this recipe. We’re going to do a little bit of laminating. This means folding the dough over itself multiple times (5-6 times here) to encourage flaky layers in our shortcakes. You can watch the video just above the recipe to see exactly how this is done. I did find that the variations from my biscuit recipe tended to make these shortcakes a bit more likely to tilt over and bake up a little less picture-perfectly than their biscuit counterparts. However, after a lot (a lot!) of trial and error, I decided that the added sweetness and the addictive light and fluffy nature of the shortcakes was worth the trade off, and once you slice into your strawberry shortcakes you won’t be able to tell that they were ever even a bit lopsided, anyway! Ok, once your strawberry shortcakes (or, just your shortcake portions) are in the oven, then you can make your homemade whipped cream. I know some of you are going to just want to substitute store-bought whipped cream/Cool Whip but can I just say that there is absolutely no comparison between store-bought and homemade? Three ingredients, that’s all you need, and you will never go back. Homemade whipped cream is relatively straightforward, you’ll just combine the ingredients and then use an electric mixer (unless you want a killer arm workout and to waste about 30 minutes doing it manually) to beat them together until stiff peaks form (basically until a Cool Whip-consistency [not taste!] is reached). I am not going to go into too much detail on how to make the whipped cream, but if you want more info and a detailed, step-by-step guide, check out my post on how to make homemade whipped cream. Plenty of pics and details over there! Let your shortcakes cool and then slice them in half. 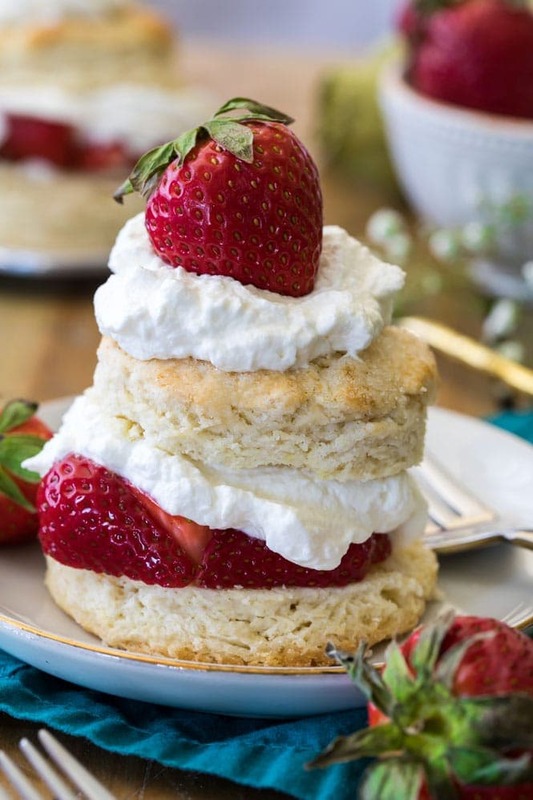 Top the bottom half with those juicy, macerated strawberries, then a healthy dollop of homemade whipped cream, the other half of your shortcake, more whipped cream, and then more strawberries. 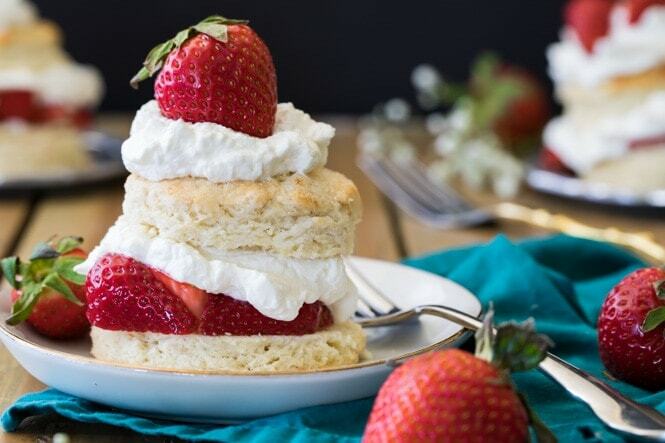 Voila, you just made your very own strawberry shortcakes. Wasn’t that easy? Alright, I think I’ve talked enough today. That is it, everyone, and please don’t forget to participate in this Recipe of the Month by sharing your photos of your own Strawberry Shortcake on my Facebook page, Twitter, or Instagram! My Facebook page is also a great place to engage with a like-minded baking community and ask any questions you might have about making this (or any other) recipe! Make sure you check out yesterday’s post for all of the details on how to participate for a chance to win a $50 Amazon gift card! How to make homemade Strawberry Shortcakes! For best results, chill your butter in the freezer for 10-20 minutes before beginning this recipe. It's ideal that the butter is very cold for light, flaky, buttery biscuits. A chilled metal bowl will also make whipping your cream easier and faster, so while it is not mandatory it would be helpful to place one in the freezer at this point that you can use for your whipped cream. Start by preparing your strawberries. Place sliced strawberries in a medium sized bowl and add 3 tablespoons of sugar. Stir well and set aside. Combine the flour, sugar, baking powder, and salt in a large bowl and mix well. Set aside. Remove your butter from the refrigerator and either cut it into your flour mixture using a pastry cutter or (preferred) use a box grater to shred the butter into small pieces and then add to the flour mixture. Cut in the butter or stir to combine the grated butter until the mixture resembles coarse crumbs. Add 1/2 cup heavy cream and milk, use a wooden spoon or spatula to stir until combined (don't over-work the dough). Transfer your shortcake dough to a well-floured surface and use your hands to gently work the dough together. If the dough is too sticky, add flour until it is manageable. Once the dough is cohesive, fold it in half over itself and use your hands to gently flatten layers together. Rotate the dough 90 degrees and fold in half again, repeating this step 5-6 times but taking care to not overwork the dough (see video above the recipe for a visual on how to do this if you are uncertain). 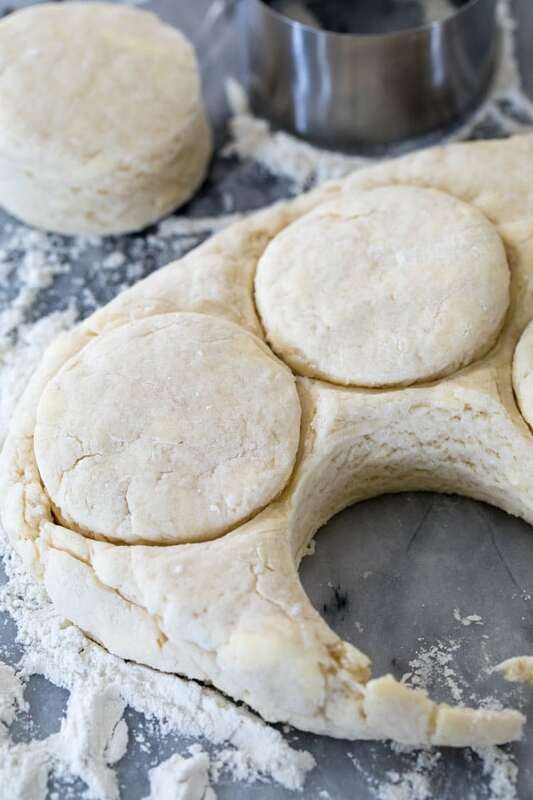 Making close cuts, press the biscuit cutter straight down into the dough (don't twist it) and drop the biscuit onto your prepared baking sheet. Repeat until you have cut out as many biscuits as possible and place less than 1/2" apart on your prepared baking sheet. Once you have cut as many biscuits as possible out of the dough, gently re-work the dough to get out another biscuit or two until you have at least 6 biscuits (sometimes I'm able to get 7. Brush with additional heavy cream and sprinkle generously with coarse sugar (if you don't have coarse sugar, regular granulated will also work just fine). Bake on 425F for 14-15 minutes or until tops and bottoms of shortcakes are beginning to just turn lightly golden brown. Prepare your whipped cream while shortcakes cool. Combine heavy cream, powdered sugar, and vanilla extract in a large bowl (if you chilled a bowl before starting, use that now). Using an electric mixer, beat ingredients on low speed, gradually increasing speed to high, and beat until stiff peaks form. Don't over-beat, but don't stop beating until cream has reached a Cool-Whip consistency. Slice your cooled (I like mine to still be a bit warm, but if they're too hot they'll melt your cream) shortcakes in half and place the bottom half cut-side up on a plate. Top generously with your prepared strawberries, and then with a dollop of homemade whipped cream. Top the whipped cream with the top half of your shortcake, and then top with additional whipped cream and finally additional strawberries. *This whipped cream may be prepared a day in advance and stored refrigerated in an airtight container until ready to use. 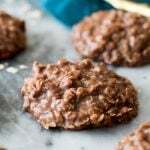 I just submitted my attempt at these via mail (along with some other recipe feedbacks). I am however planning on giving them another try as I’m not 100% happy with my first attempt. .Made these today and just WOW! They were amazing and I am going to share my photo in your group later today. Thanks for such a great recipe, Sam! I’m so glad you enjoyed them, Jacquelyn!! I just submitted my recipe challenge pic via email. So happy to see that you are starting this up. And the biscuits were super easy and delicious. I have always just made traditional biscuits for my shortcake, but this is definitely the route to go from now on. Everyone commented on the extra sweetness in the biscuits and how much better they complemented the berries. Nice challenge! And thanks for the chance to win a great prize! 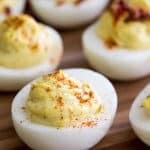 I absolutely loved this recipe, it was so fun, and super easy to follow. Strawberry shortcake is definitely one of my favorite summer treats.